Hello friends! Well, so far I can say I survived the blizzard of 2016! I watched the news last night before I went to bed, and as of then we already had over 27" of snow on the ground and it was still falling. Thankfully I spent the day yesterday nice and warm in my craft space, though today I'll be out shoveling. I can't even see my car! 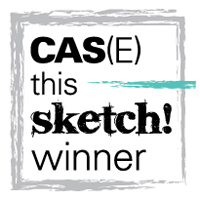 Today at The Paper Players, the amazing Nance has an awesome sketch for us to play along with, and the Design Team really rocked this one. My version is rather spring-like, a far cry from what lies outside my front door. I knew what stamp set I wanted to use for this sketch right away, my brand new Color Layering Bird and Branch stamp set and dies from Hero Arts. 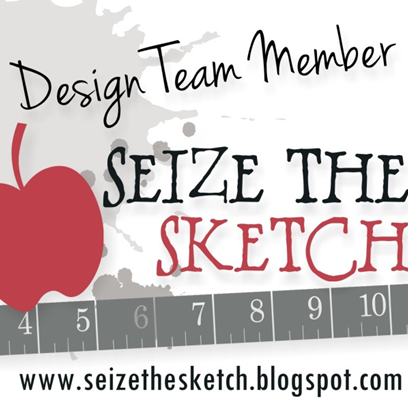 I used the mirror image of the sketch so my bird would be facing the center of the card, and substituted the branch for the smaller banner. This stamp set layers up so nicely. I love it and know I'll get a lot of use out of it. 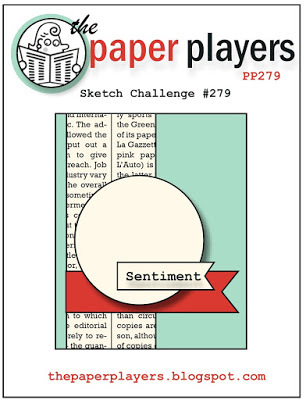 I'm playing along with a couple of other challenges today: the colors at Color Throwdown, and the "critters" theme at the Simon Says Stamp Wednesday challenge. The images were stamped first, then die cut. For the background of my circle, I just did a little sponging with some Soft Sky ink. The sentiment is from a set by Technique Tuesday. Thanks so much for visting, and please visit the rest of the team at The Paper Players! We hope you'll play along, too! Oh Sandy, this card is a breath of fresh, spring air! What a sweet little bird and I adore the cherry blossoms--especially the way you've highlighted them with a little background sponging. 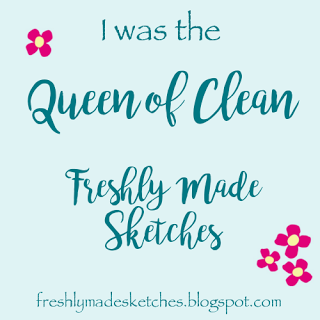 Thanks for making my sketch look so lovely! Sending you ((warm)) hugs! I loved this card the moment I saw it Sandy - a breath of Spring for sure and a piece of one of my favourite dsp of all time (I hoarded this more than any other!!) Such a beautiful colour combo too. Take care shovelling - be sure to reward yourself with something nice and warm when you're done! Gorgeous springy creation, Sandy! Perfect for a snowed-in day! I think we may have gotten a bit more snow than you....all I know is I shoveled for an hour and barely made a dent. Hubby's poor snowblower can barely keep up! We'll be out there again several times today...my feet were so cold I had to come in! Anyway, your layered elements are just beautiful and they give me hope that spring is right around the corner! When I saw this card earlier in the week, I just fell in love with it. 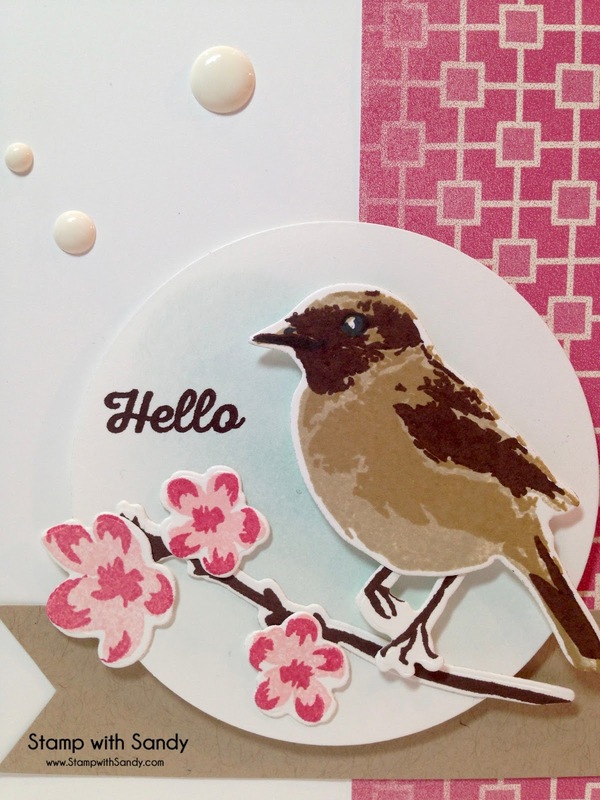 That bird is SO sweet, and the whole card feels like spring! Take it EZ shoveling and have a great week Sandy! Love how soft and pretty this is! 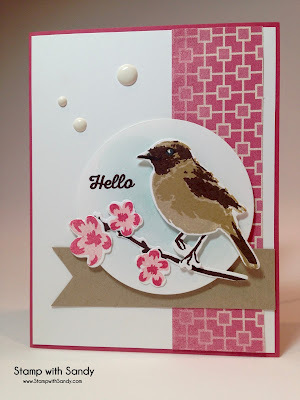 The bird is perfectly stamped and I love the background paper with the flowers! Love this layered bird!! Great use of the colors! So glad you joined us at CTD!! 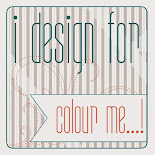 Oh, this is such a gorgeous design! 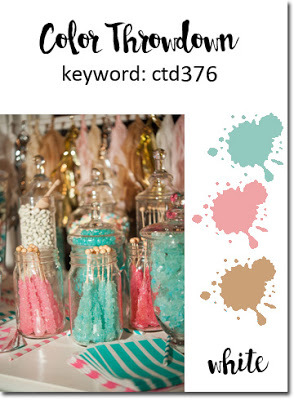 Love your spring theme and your use of the throwdown colors! Thanks for playing along with our challenge this week! 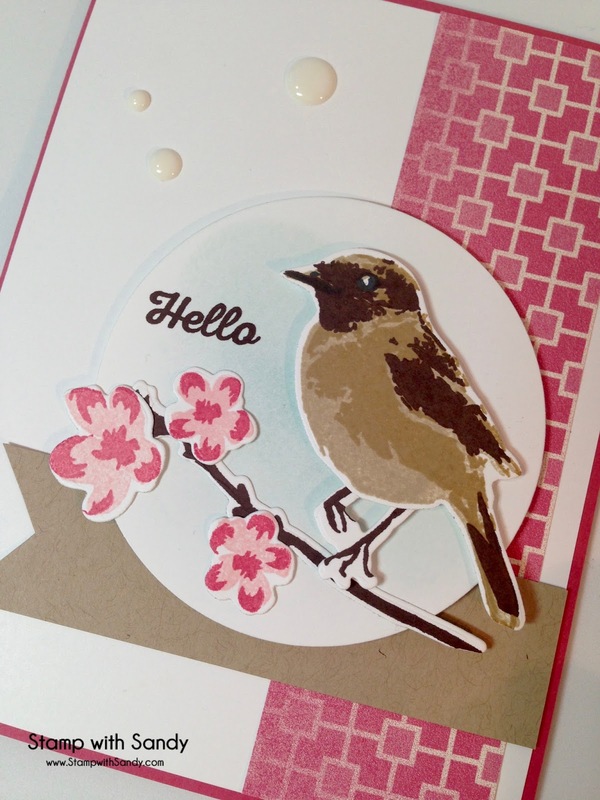 Love your beautiful bird card, pretty colours too. Sandy, I have had you in my thoughts all week! I know that amount of snow creates all kinds of issues. Praying for you! Sandy, I love your layered bird and flowers! Also, the color combo that you've used. I never think to put pink and brown together but when I see it I always love it. Your card is really pretty!